Paver installation is a way to improve the appearance of your home. Whether it is a walkway, driveway, garden or a patio sitting area, pavers are perfect for a unique landscape design. Go Get ‘Em Lawn is a popular paver installation company in Florida. We are equipped with modern technologies and experienced professionals. 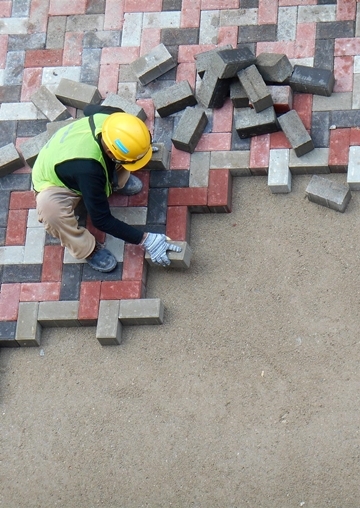 You should know that different materials like brick, rubber, cobblestone, concrete, bluestone, travertine, flagstone are used when it comes to paver installation. A paver installation company can make your home stand out in the whole neighborhood. You can also choose colors like grey, brown, black, white etc. before going for paver installation according to the texture of your home. We have efficient and experienced professionals who provide affordable service to have an aristocratic look. For paver installation, you need to hire a reliable company that has a proven track record of delivering quality paver installation services. We also specialize in providing various other services like fence installation, planting, landscaping, sod-mulch installation, window cleaning, drainage, and tree service. Our trained experts help you to choose paver patio designs which would go with the texture of your home. We have been offering the best installation service according to our clients’ needs. We always provide hassle-free services to our customers in time. We also have the latest tools to execute our work perfectly. We are here to design your lawn in a totally different way from others. Choose Go Get ‘Em Lawn Service for unparalleled paver installation services!